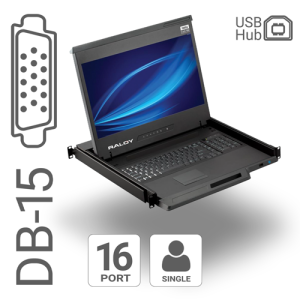 Ultra modern, sleek design with full 1080p resolution and options for native support of Mac OS. Support for full 1080p HD. 104-key keyboard w/ trackball or touchpad. Mac style keyboard upgrade available. Featuring a 1080p LCD 17.3" display and 104-key notepad keyboard, with touchpad or trackball, the RF117HD includes a 6ft console cable designed specifically for Raloy devices. Enhance your rack by integrating a monitor, keyboard, mouse, and KVM Switch with this state-of-the-art, modular rack console drawer. Optional Upgrades may add more items to the box. Setup is fast and easy, whether in a server cabinet or 2 or 4 post rack. 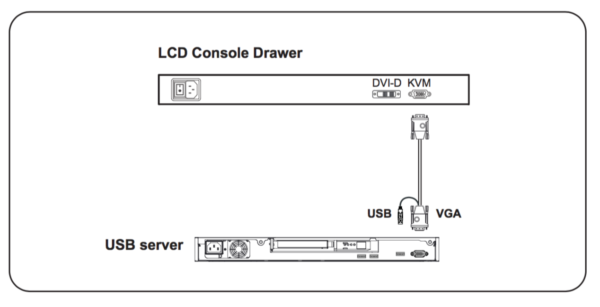 Simply plug in this modular rack console with an integrated KVM and you are ready to go. To use the console, slide the rack console unit out and open the cover to reveal the widescreen monitor and built-in keyboard and mouse. 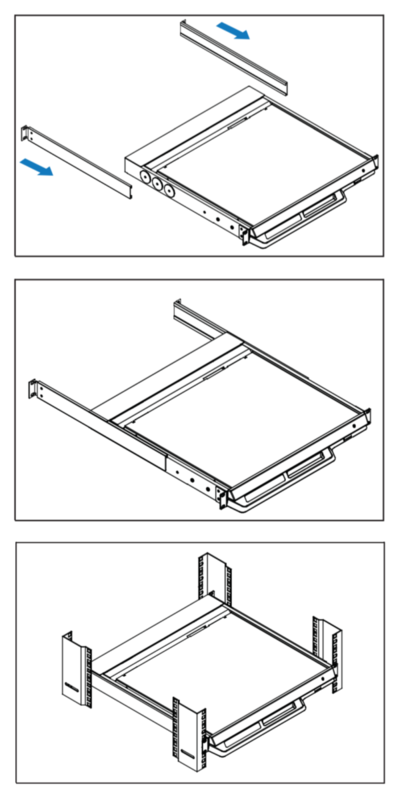 To conserve valuable rack space, close the cover and slide the console module back out of the way and into the rack when finished. 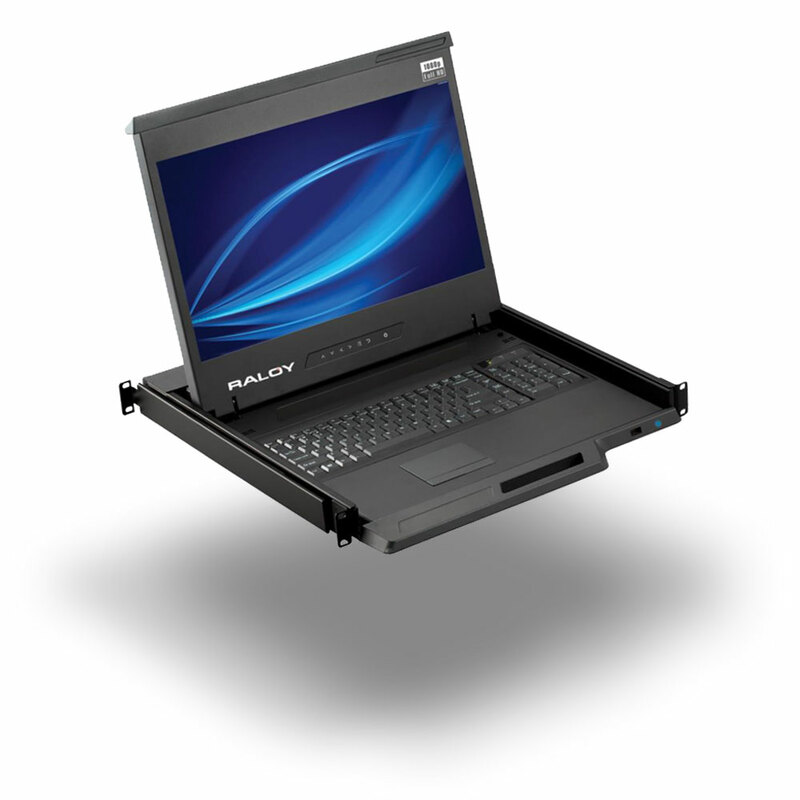 Purchase Raloy rack consoles and rackmount KVMs from our certified resellers. IBM, HP & DELL servers. 17” Full HD 1080p monitor (1920 x 1080). Sun Micro and Mac keyboard support option. 1U short depth design of 18.9” (480mm). 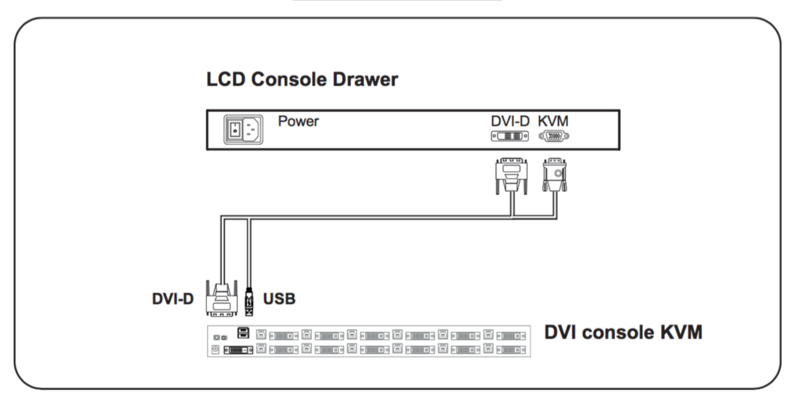 Digital & Analog Video inputs (VGA & DVI-D). Options to support latest video formats: HDMI, BNC, SDI, etc. 104-key keyboard with number pad and numerous language layouts. 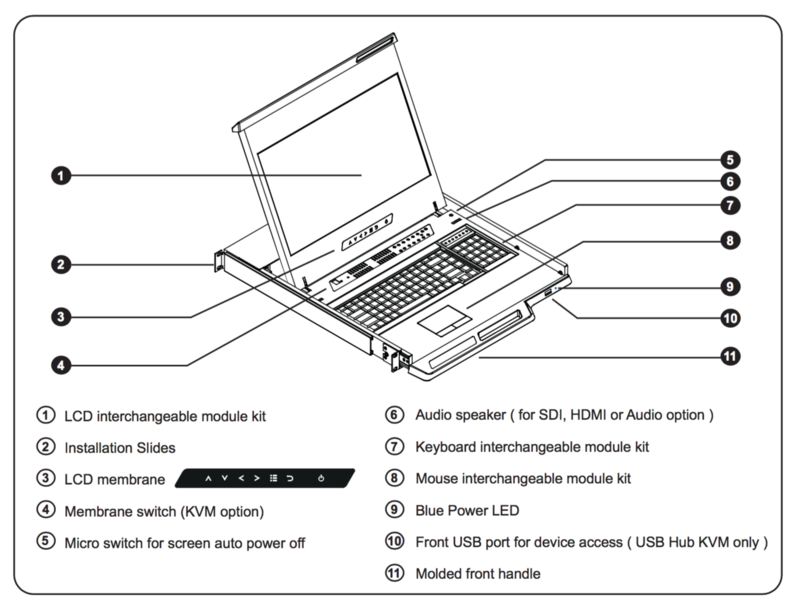 Available with touchpad or trackball options. We are so confident in our products, your purchase is covered by an industry-leading 2 year warranty, extendable up to 5 years. We’re happy when you’re happy, simple as that. We want to listen to how we may improve our site for you. Coming Soon! Thank you for your patience. See All Cables. at-the rack access of your critical servers. 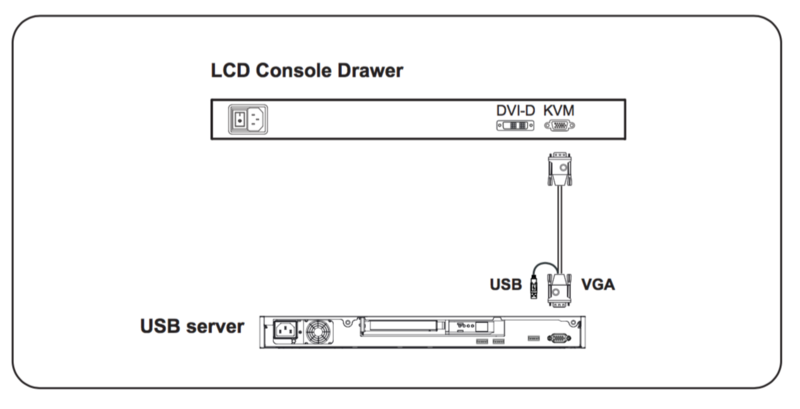 Optimize your rack space by integrating a KVM Switch into your Console Drawer, providing easy installation & streamlined access to your servers in only 1U. 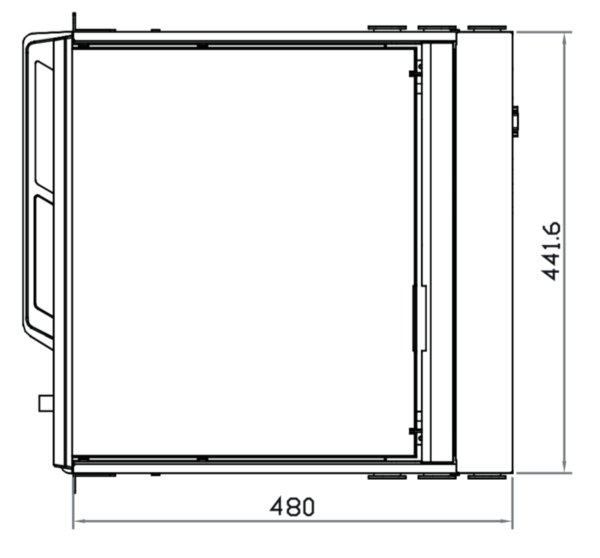 Traditional cabled and high density designs to meet the unique requirements of each rack environment. Simple to install, configure, and operate for less down-time and greater productivity. Multiple port numbers and simultaneous user configurations to fulfill any access requirements. * Replace with either an e for the touchpad or b for the trackball. ©2016 Raloy, Inc. — We’re here for you!